The lesson of the little black dress is that the surest way to go chic is to go black. Here are ten options for when you want your lighting to go noir. The Derome black cutout light from British brand Pinch is available in a light finish of white-oiled ash or in the dark-stained tulipwood finish shown above. Accompanied by a woven flex mesh cover and a touch-sensitive dimmer, this lamp can make the lights go way down. 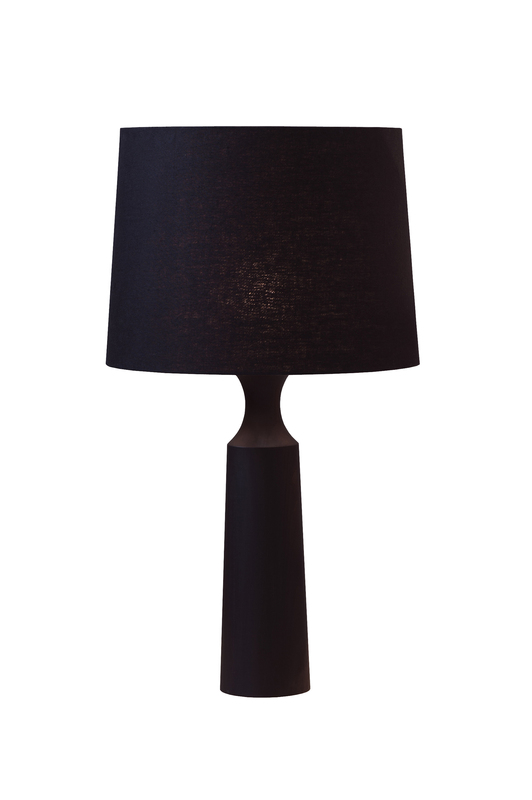 The octopus-inspired Poulpe floor lamp comes in rigid black, white or gray polyeurythane foam. While it stands on only four legs, early evening shadows will help this lamp more closely resemble its namessake. Ikea's steel-domed 365+ Plus Brasa lamp brings light to even the blackest of days. The Ogle Pendant light stands outside of the spotlight, casting a soft LED glow on the stars of your design scheme. The Dear Ingo Chandelier is not for everyone—and especially not for the arachnophobic—but this piece, with its 16 individual task lamps, is now part of the Art Institute of Chicago's permanent collection. How's that for black magic? Rich Brilliant Willing's Channel Task Lamp celebrates the black line. Name after the aluminum tube that houses its high-efficiency LED lights, this lamp is a task master. Designed by Artek's Finnish founder Alvar Aalto, the chic tiered Pendant Lamp A110 is casts a single focused beam of light and is available in black or white. The V Pendant polycarbonate lamp by Arturo Alvarez suits your blacker moods. With an arm that's easy to rotate, the Pixo lamp by Pablo designs is equipped to handle a variety of tasks. The Workstead Floor Lamp, available in the Dwell store, is designed by Brooklyn duo Stefanie Brechbuehler and Robert Highsmith. It's cast iron, steel, and brass—all a blacksmith could dream of.